The increased demand for social media exposure has generated specialist roles, for instance, the role of social media manager. A social media manager is a person who manages online communications with followers of a business through social media avenues such as Facebook. This is an important role and successful businesses would agree that social media marketing, when mastered, is one of the best methods of advertising there is in today’s challenging business market. If you’re considering becoming a social media manager, you’ll need a certain skill-set. The role can be challenging and requires a lot of time and attention. Here are six attributes every social media manager needs to have in order to be successful. 1. Effective communication skills – One of the most important attributes that any social media manager should have is effective communication skills. There will be constant interaction between you and your client’s customers or potential customers. The ability to communicate and moderate a large audience is a must for a social media manager. Not only is it important to be able to converse but it is also necessary to listen to your audience and know how to respond accordingly. 2. Flexibility – Social media managers should be flexible as the role is not your ordinary 9-5 position. They should be able to work at various times when they can achieve the best results for their clients. It is a fast paced job where the ability to react appropriately and adapt to change is imperative. 3. Passion for social media – Being active on multiple social media websites and community forums is necessary. Knowing which social media sites are best for the type of businesses you are working with is important. Being familiar with the various social media automation tools available and staying up to date with technology, marketing, and industry news is also vital. 4. Understanding your client’s business goals. A good social media manager will understand the goals of each client’s business so they can generate content and foster meaningful business discussions that will allow the business to reach its target audience. 5. Must be resourceful. 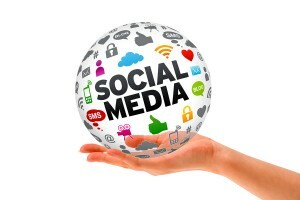 – A social media manager should have the capability to work under pressure and put every resource to good use. They should have an existing list of resources that they can pull from as well as continually add to that list. They should be able to use multiple avenues to gain information as well as promote the client’s business. Remember there is nothing wrong with being creative and thinking outside the box. 6. Must respect confidentiality. A social media manager will need access to back-end business information as well as account details. It’s important for the client and social media manager to discuss which aspects of the business can be shared with the public and which should never be revealed. Forward-looking or safe harbor statements for instance, are never meant for public view. Neither is topics related to personnel, vendors and regulatory issues that impact the business. However, opinions on a topic or link to a contact form would be ok to share with the public. Making contacts and developing relationships isn’t something that’s going to happen overnight. This takes perseverance and hard work. A social media manager who is on top of their game can help a business reach their full potential. Whether you are considering becoming a social media manager or hiring one for your business, knowing what attributes are needed will make the process much easier.